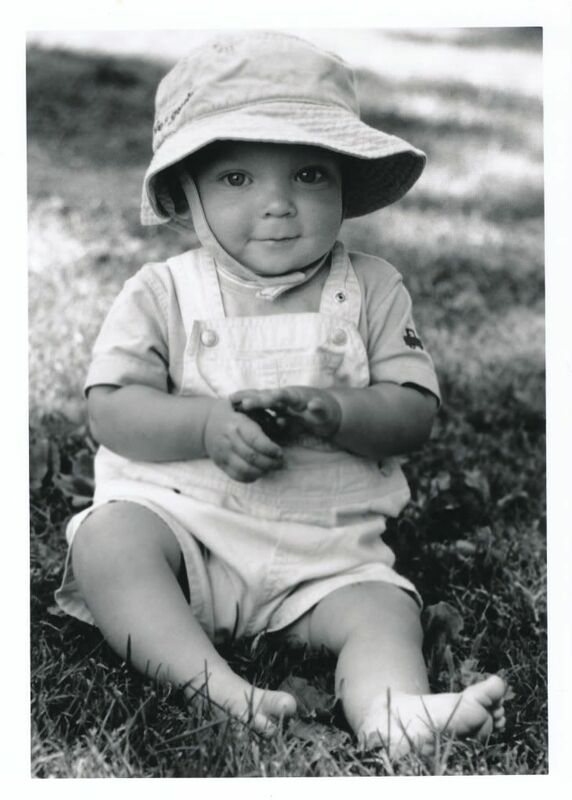 This is how little Jake was when we went to visit Jacob in Bend. This morning I was teasing Sophie. I called her "Baby Hind." She responded: "No, my name is not Baby Hind because I not a baby!" "Okay," I said. "Fair enough. How about I call you Sweetie Hind instead?" "No," she said in her pouty little robot voice. "Because Hind is a mean name." Rob told Sophie she should teach little Jake how to walk. "Okay," Sophie said. "I will show he. Just go like this, Jacob." And she walked casually across the living room, hand on hip. "Just do this and walk wherever you want to go." "You see, Jake?" Rob said. "It's as simple as that." Jake was chewing on the seat of a chair and looking very goofy. This morning Kris told Sophie to model her newest outfit for me. It was a little white sleeveless top with some denim pedal pushers with ruffled hems. The hems were decorated with lemon and lime appliques, and the finishing touch was a pink gingham sash tied around her waist. Sophie stood in the middle of the room to model for Rob and me. She had one hip cocked and a shy but proud smile on her face. "Oh! You look adorable, Sophie!" I said. Rob said, "What's that girl's name on The Beverly Hillbillies?" "What?" he smiled. "It's a totally unrelated question!" "You look terrific, Sophie!" I said. Jake came downstairs this morning in a jolly mood. He had a big wet spot on his pajamas because his diaper was leaking, but he didn't care. He was rolling around and grinning, charming everyone. Then Mom changed his diaper and put him in a fresh outfit. His mood changed immediately. He began to fuss and buck. "I don't know what you did to him, Mom," Jacob said. "He was doing fine in that wet diaper. He was smiling. . . ."
Jake has a little pink plastic pig, and every time you show it to him he opens his mouth. He wants you to insert the pig's snout into his mouth like a pacifier.